Maybe you’ve formed a business partnership with high hopes, only to later realize that it just isn’t working out. Circumstances change and people move on. You might want out, your partner might want out, or maybe you both want out. Whatever the reason and whatever your goal, you have options. If partners voluntarily agree to dissolve a partnership, the partners can collect the partnership assets, inventory them, and sell them to pay off creditors. They then divide any surplus between themselves. In addition, a statement of dissolution needs to be filed with the California Secretary of State. This isn’t a very difficult process, but it is a good idea to consult with a San Diego partnership attorney for guidance. A partnership attorney will ensure that the statement of dissolution is filed properly and that the partnership is wound down efficiently. The attorney will also draft a dissolution agreement. A dissolution agreement is a contract that spells out the terms of the dissolution in the event of a future dispute between the partners. A voluntary dissolution agreed to by all partners can become a little tricky, but it is the best possible outcome when it comes to dissolving a partnership. The results can be disastrous in cases where one partner disagrees about the terms of the dissolution or refuses to cooperate in dissolving the partnership, In such cases, partners are left with few options. They can opt for mediation, but this option is not likely where an unwilling partner buries his head in the sand and refuses to participate. In such cases, the unwilling partner would often rather see the business go under than to see any surviving partners succeed on their own. If an informal resolution cannot be reached, partners may be left with no choice but to sue each other. This option is costly, time consuming and emotionally taxing for most people. In such cases, a judge will ultimately determine how the partnership assets will be divided. Only then will the partnership finally be dissolved. It typically takes more than a year, sometimes more than two years to fully litigate a partnership dispute. Obviously, drawn out litigation is not good for business, and often the underlying goodwill that goes along with the partnership’s assets does not survive the process. When considering whether or not to dissolve a partnership, it’s important to understand every aspect of the partnership’s business before moving forward. Are there contracts or commercial leases involved? Will the partnership remain liable to customers or suppliers? Does insurance adequately protect the partners from future lawsuits stemming from the partnership business? Does the partnership own trademarks, copyrights or patents? 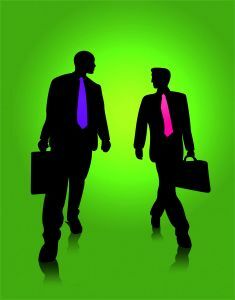 Is there goodwill that can be sold along with the partnership assets and will that goodwill survive dissolution. Working with an experienced partnership attorney is the best way to ensure that all of the partnership’s interests are protected. Another option which allows for the survivorship of the partnership is for one partner to sell his or her shares of the business to another partner or to sell to a third party. Selling a partnership interest to a third party may involve a right of first refusal and other issues which are beyond the scope of this article. Buying out the interests of one partner by another is a fairly common solution, and is often a better choice than dissolution. Typically, the most difficult part of a partnership buyout is determining the value of the partnership interest being sold. This is not as easy as it may sound. As with dissolution, there are many issues to consider. What is a fair buy/sell price? If the partners cannot agree on a price, how should the price be determined. Business valuations by third party companies can be quite expensive – thousands of dollars in most cases. Are there financial barriers making it impossible for the surviving partner to pay a fair price and/or to finance the purchase? Is the selling partner willing and/or able to carry a loan? Will the exiting partner have any continuing obligations to the partnership? What if the exiting partner wants to start a competing business? These are just a few of many questions that need to be answered. The best way to avoid future partnership problems is to enter into a well drafted partnership agreement before starting out. The procedures for dissolution and the selling of a partnership interest are set forth in advance, as well as procedures for many other partnership eventualities including the death or bankruptcy of a partner. Paying a partnership attorney to draft a comprehensive partnership agreement in the first place protects each partner from the pitfalls associated with partnership disputes. Paying an attorney after the fact is significantly more expensive and painful. See “Why Oral Partnerships Are a Bad Idea“. Regardless of what stage a partnership is in, consultation with an experienced partnership attorney is the best way to protect each partners individual interests.